As a personal chef, I get this question quite often and it’s a tough one to answer… because as a obsessive passionate cook, I like to cook just about everything.. so narrowing it down is a lot like trying to pick my favorite color – there are just too many choices !! But if you ask me what my favorite category of things to make is, that’s easy… appetizers and hors d’ oeuvres. They are my favorite type of “gig” to cater and my favorite type to host because to be honest, I think they are the easiest… and the most fun! 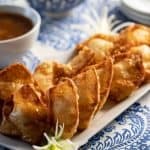 I know, you think I am completely crazy – little bites for 20 – 30 people? Really??? Yes! 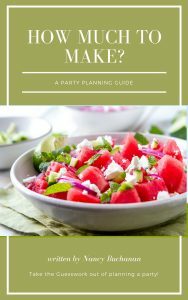 But it’s not as crazy as it sounds… Because the key to this type of party is in the menu and recipes. If chosen well, you can pull it off with a minimum of fuss and bother and actually enjoy your own party!! 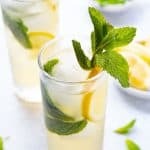 So, as the season of showers, soirees and outside entertaining begins, I thought I’d share some of my “tried and true” recipes and ideas with you for hosting your own appetizer party. First up – Marinated Feta. This is one of my favorite “oh my goodness I need an appetizer tonight and I have no time” recipes… and I am using the term “recipe” here very loosely. Which is one of the things I adore about this dish. As long as you have good feta (more on that in a minute) and a few pantry staples you are good to go. And speaking of “going” this is a great appetizer to take with you to a party, a potluck or anywhere else. With this appetizer, it is all about the ingredients… starting with the feta. Searching out good quality feta is truly worth the time and doesn’t cost significantly more (and may cost less depending upon where you buy it) than a supermarket variety. Although Greek feta is the one most people are familiar with, I’ve recently become enamored of a Bulgarian feta I found at my local middle eastern market. The Bulgarian feta is also made with sheeps milk but has a creamier and fuller flavor than the greek feta I usually buy. 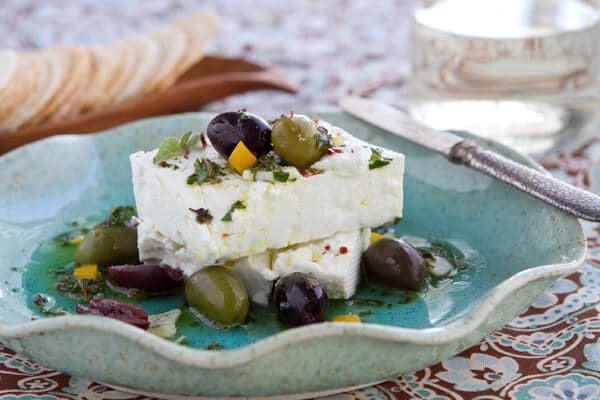 If you can find it, it’s worth seeking out – but if not, a good greek feta (packed in brine!) works beautifully!! As for the “marinade” part, I keep it pretty simple – a little fresh lemon juice and some good olive oil. Add some good olives, some seasonings and there you have it. 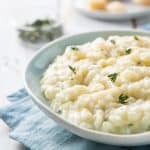 You can make this a couple of days in advance which gives the cheese a chance to soak up some of the flavors but if you don’t have time to do it in advance it is still delicious! Serve it with some crackers or pita bread! Here are some other “quick” appetizers that are perfect for a an appetizer party! This is a very flexible recipe. If you don't have green olives, just double the amount of kalamata olives. You can also add diced, roasted red bell peppers. If using dried oregano, feel free to add some fresh minced italian parsley and/or mint. If you've never used sumac it's a wonderful spice with a slightly lemony flavor. Combine all the ingredients except the feta cheese. Mix in a bowl and then drizzle over the feta. Serve immediately or place in a covered container in the refrigerator. Serve with crackers or pita. Yum…this is right up my alley! Oh man. 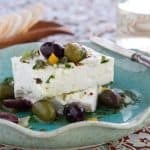 We love feta in this house, what a great way to serve it! Great recipe, Nancy. Quick to make, flexible ingredients, and best of all fantastic taste. I’ve made a similar one many times and it always gets great reviews. 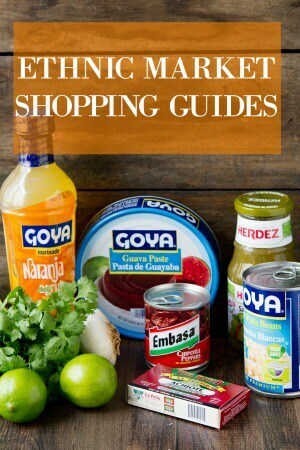 Though, I have to say I’ve never tried sumac or Bulgarian feta. Gonna have to seek out both of those! I love all the flavors in this appetizer! You can’t go wrong with feta, good olives and crackers. 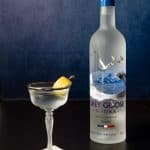 I’ll have to try this concoction soon! Yum. This looks amazing – simple, yet elegant! I don’t think I could ever answer what I call the million dollar question the way it should be answered – what is your favorite thing to make? Umm..just about anything and everything, is always my answer. Now you can add your marinated feta to that list. I just tweeted that I wanted it for breakfast now, and I meant it! I wish I had seen this recipe yesterday. I was assigned appetizers for a get-together and had in mind to make a bruschetta where I use French feta and roasted tomatoes. The store didn’t have the feta I wanted to use so I ended up with a less-inspired Plan B. This would have been perfect for last night. 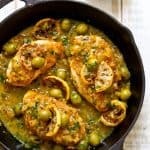 Bookmarking this recipe–thanks! I love the sheep’s milk feta too, it’s so creamy. This sounds wonderful for my kiddo who loves feta. It’d also be good with my homemade feta. Can’t wait to try it. Thanks Robin – this would be amazing with homemade feta – although just about anything would be great with homemade feta – yum!!! I totally need to marinate my own feta, like, yesterday! Looks so flavorful!